As much as I love to plan out where and when to try a new restaurant, sometimes the best places are the ones I find by accident. This is especially true when it comes to our road trips, those times when we have to find somewhere to eat outside of the comforts of Berks County. That was the case a few weeks ago when Julie and I made a trip to Philly. We took the train from Malvern to Jefferson Station (nee Market East) with every intention of enjoying lunch at the Reading Terminal Market. Those plans quickly changed after we walked in during the Saturday lunch rush. Unable to move, let alone find a place to sit and eat, we abandoned the market, went with a light lunch and decided to look for a bigger dinner when we returned to Malvern. So after a long day in the city, we were starving for some good food in the suburbs. After consulting nearly every review site, we found ourselves in a strip mall along Lancaster Avenue. Buena Vista Mexican Restaurant isn’t visible from the street. The shopping center that it sits in features three strips of shops and restaurants with Buena Vista tucked way in the back around a curve in one of the rows. The walls were painted different colors, green on the sides, maroon in the middle. Bronze lizards, an Aztec sun sculpture and assorted paintings covered the wall. Somehow, the decor came together without feeling tacky. 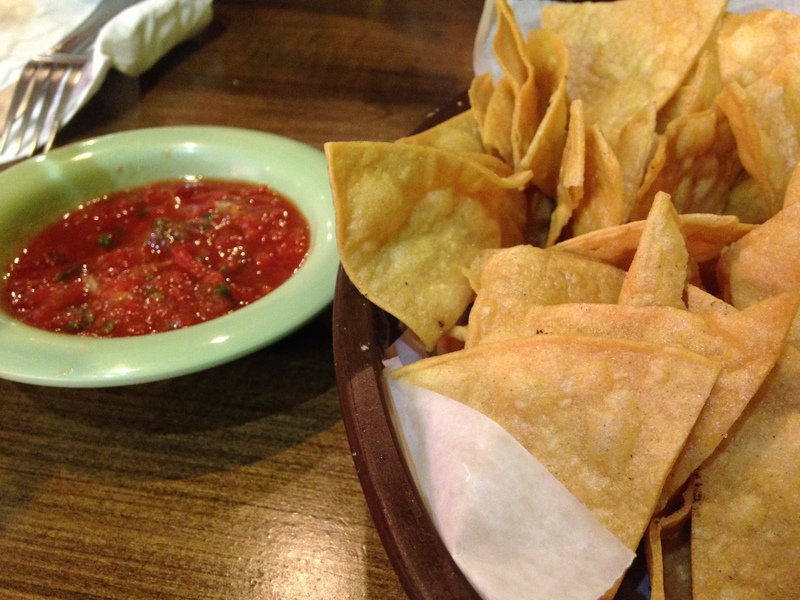 One of my favorite things about dining out for Mexican food is the chips and salsa, and Buena Vista may have the best that I have tried. Instead of the thin, Tostitos-style chips served at many restaurants, Buena Vista has thicker, deep-fried chips that are made in house. Combined with some fresh, mild salsa, I could have kept eating them all day. And the meal just got better from there. 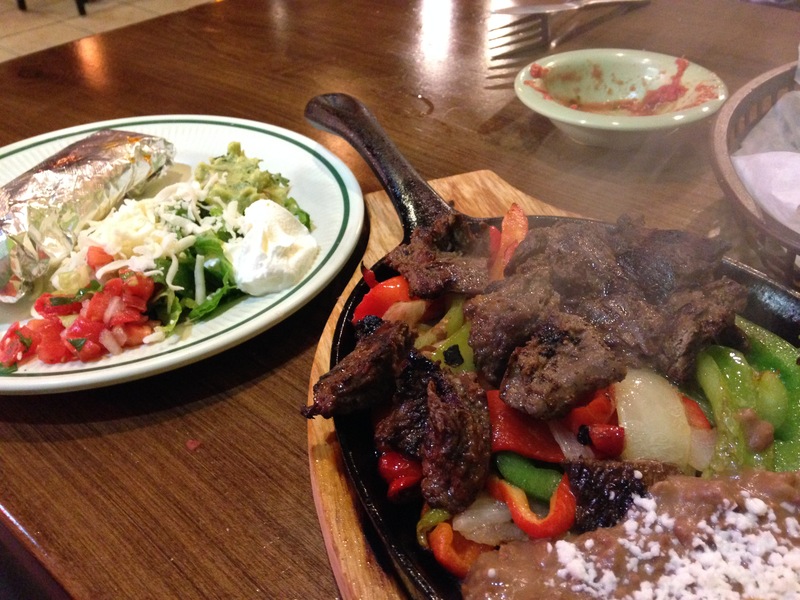 My steak fajitas were still steaming on top of the sizzling skillet when they were delivered to our table. Served atop the traditional bed of grilled onions and peppers, with a side of refried beans and all the fixings, I couldn’t wait to start piling on my tortillas. There were no weaknesses on the plate as everything was really good, but what really set this dish apart was the guacamole. This was, hands down, the best guacamole that I have ever had. It tasted so fresh, with just the right amount of cilantro and other spices to complement. Adding it to my fajitas made all the difference. While I like to change things up whenever I go out, it is almost a sure bet that Julie will order enchiladas. 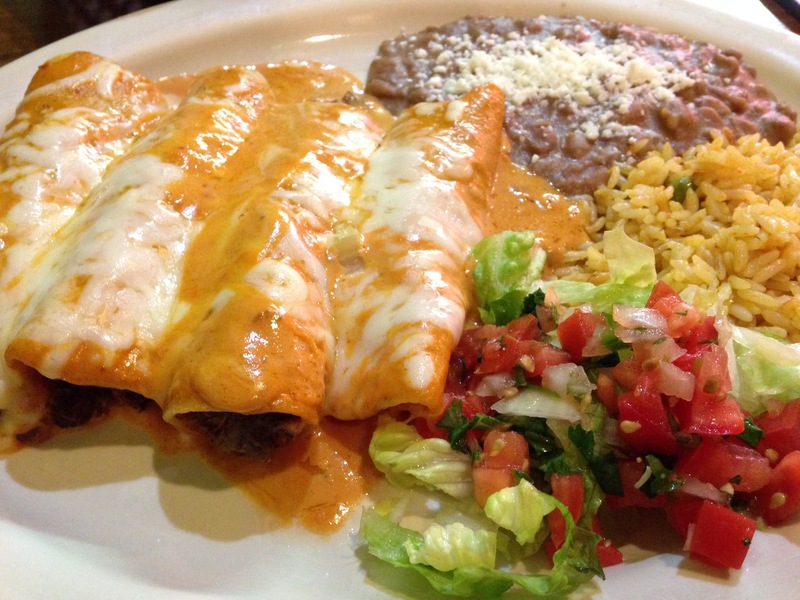 This trip was no exception as she ordered some shredded beef enchiladas with chipotle sauce. A little spicy, but not too hot with plenty of meat. When I get high quality food like we had at Buena Vista, I don’t mind paying a little more. The chips and salsa weren’t a free add-on like they are at most places, and our total bill came in just a little over $30. 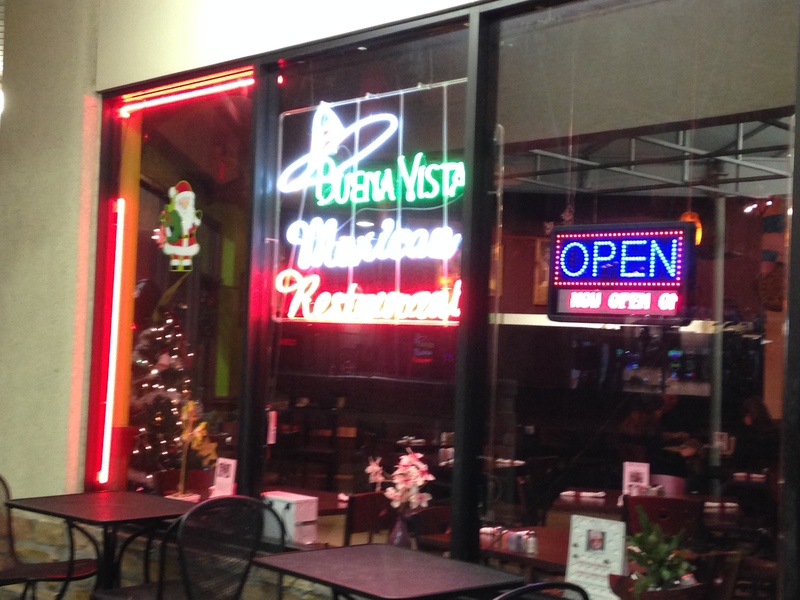 Buena Vista was not a place that I had planned on eating, but it ended up being one of my favorite meals in a long time. That’s why I will never stop looking for new places to eat.